Most of us remember as children being told to sit up straight and not slouch. At the time we didn’t recognize the importance of good posture. After many years of research the evidence is clear: poor posture can lead to many other problems and negatively impact our overall health. 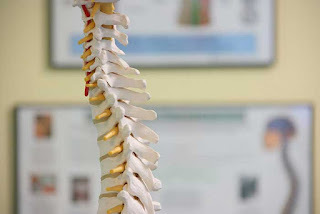 Chiropractic Rehab & Neurology shares five reasons people should make using good posture a priority for improving spinal health in Anthem and North Phoenix. How you move, walk, run, and most physical activity is affected by your posture. Improving your posture relieves some of the pressure on your muscles and joints, which in turn preserves energy. You may notice feeling less tired after a long day. Breathing could become easier. A slouched position can have the effect of constricting your airways. There could be added pressure on your lungs if the ribcage is not in the proper position. If you have difficulty catching your breath or experience panic attacks, good posture could help to resolve the symptoms. Gravity creates a pull on all of our muscles and joints, and good posture allows that force to be equalized across the body. Poor posture causes the body to work harder than it should, and could potentially cause damage over time. sing good posture relieves pressure on your internal organs. People experiencing constipation, acid reflux and hernias should consider practicing good posture to determine if it will help alleviate these conditions. Digestion could also benefit from having the back in a straight position. Excessive pressure on the joints wears away connective tissue; the resulting bone-on-bone irritation leads to discomfort and potentially arthritis. The strain of poor posture on the spine increases the probability of an injury, such as a slipped disc or nerve entrapment. Sitting and standing straight adds to your confidence level, creates a feeling of being taller, slimmer, and more youthful. A person who slouches tends to give the impression of being unhappy and introverted. It’s not too late to correct poor posture. The doctors at Chiropractic Rehab & Neurology can recommend exercises and stretches to help maintain core muscles and correct spinal alignment in the Anthem AZ area. If you’re in North Phoenix, call us today to set up a consultation at 623-587-0277.